More than 20,000 images of the planet Mars taken by NASA's Mars Global Surveyor spacecraft are now available in a web-based photo album -- the single largest one-time release of images for any planet in the history of solar system exploration. The 'picture postcard' scenes in the new images reveal the Red Planet, often said to be the most Earth-like planet, as an alien, bizarre and puzzling world. "These are exciting times for Mars scientists and this release of images is in my opinion something unprecedented in the Mars science business," said Dr. Ken Edgett, staff scientist at Malin Space Science Systems, San Diego, CA. "People everywhere with Internet access will be able to take their own personal journey of exploration and discover Mars via these pictures. They can experience them the same way that Mars Global Surveyor scientists do -- one at a time, no captions or explanations, just 'Here it is. What does it show me?'" The archive of images now covers one Mars year (687 Earth days), beginning in September 1997 with pictures taken during the aerobraking phase and extending through August 1999 when Global Surveyor was well into its mapping mission. Many of the pictures have such high resolution that objects on the surface the size of a school bus can be seen. 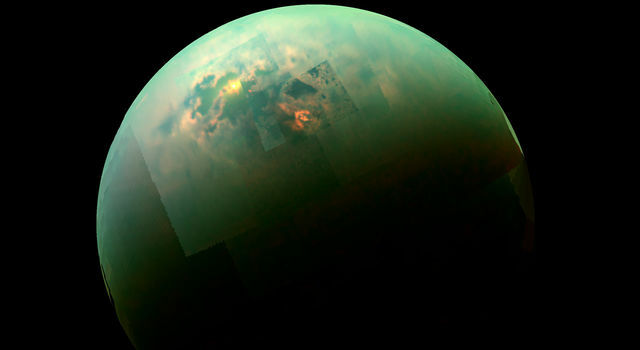 According to the imaging team, placing these images within NASA's Planetary Data System for archiving is an important step in the Mars Global Surveyor mission that permits scientists and the public to examine the original data and make discoveries "for themselves." "Putting these data into perspective is very difficult. We have focused on 'themes.' Layers on the Martian surface are the biggest 'theme' or 'finding' of the imaging investigation so far. To a geologist, layers record history and they are the most geologically important, profound thing we have seen," said Dr. Michael Malin, principal investigator for the camera system at Malin Space Science Systems. "We see layers in the walls of canyons, craters, and troughs. We see layers in the both the north and south polar regions. We see them in the craters on top of volcanoes, we see them in pits at the bottoms of impact craters, we see them virtually everywhere that some process has exposed the subsurface so that we can see it from above." "Seeing Mars up close through the narrow angle camera has been a humbling experience. We often find surfaces for which there are no obvious analogs on Earth, like certain ridges that look like dunes. Our terrestrial geologic experience seems, at times, to fail us," Edgett said. "Perhaps it is because water is the dominant force of erosion on Earth, even in the driest desert regions. But on Mars that force of change may have been something else, like wind. The ridges seen in places like the Valles Marineris floors are strange. They aren't dunes because they occur too close together, their crests are too sharp, their slopes too symmetrical. They often appear to be a specific layer of material that has undergone erosion -- we just wish we knew what processes are involved that cause this kind of erosion." The camera system uses a "push-broom" technique that systematically builds up pictures of the surface directly below one line at a time as the spacecraft orbits Mars. The wide-angle lens provides a complete low-resolution global map of the planet every day showing surface features and clouds at a resolution of about 7.5 kilometers (4.6 miles). The narrow-angle telescope takes close-up pictures of small areas with a resolution of about 1.5 meters (about 5 feet). Because of the extremely high data volume of the high-resolution images, controllers cannot use this mode continuously. Instead, they painstakingly plan which areas they want to target. The archive of images can be found at: http://www.msss.com/moc_gallery/ A subset of the images can be seen at http://photojournal/cgi-bin/PIADBSearch.pl?NewReleases , http://www.msss.com/mars_images/moc/may_2000/ and http://mars.jpl.nasa.gov/mgs . 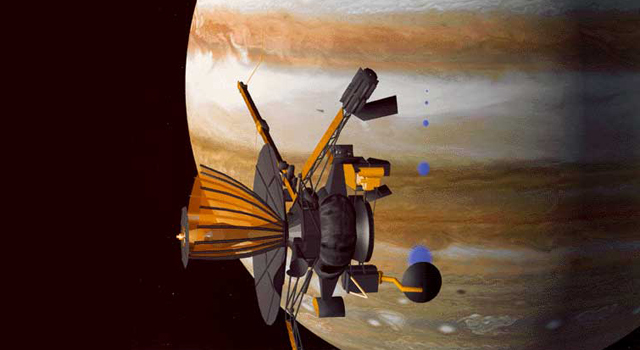 Mars Global Surveyor was launched on November 7, 1996 and arrived at Mars on September 12, 1997. The spacecraft has made more than 5,000 orbits of Mars and has been systematically mapping the Red Planet since March 1999. Mars Global Surveyor is managed by the Jet Propulsion Laboratory for NASA's Office of Space Science, Washington, DC. The camera system was built and is operated by Malin Space Science Systems, San Diego, CA. 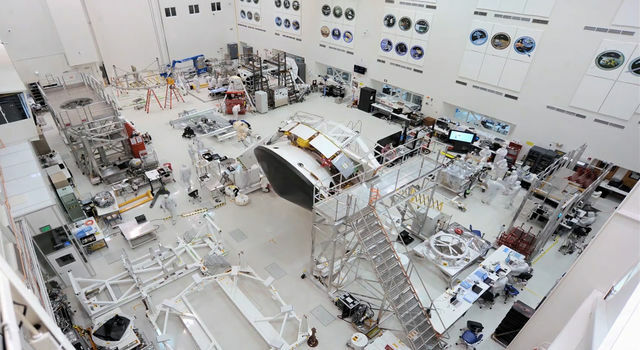 JPL's industrial partner is Lockheed Martin Astronautics, Denver, CO, which developed and operates the spacecraft. 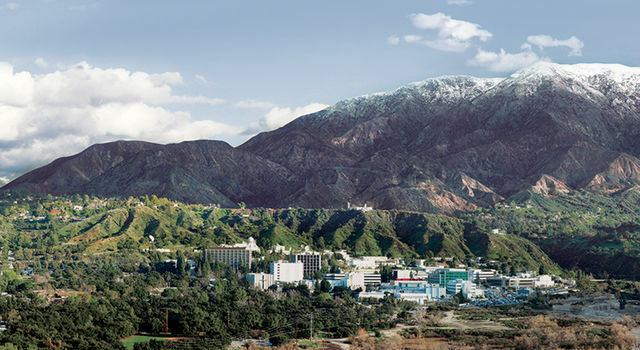 JPL is a division of the California Institute of Technology, Pasadena, CA.